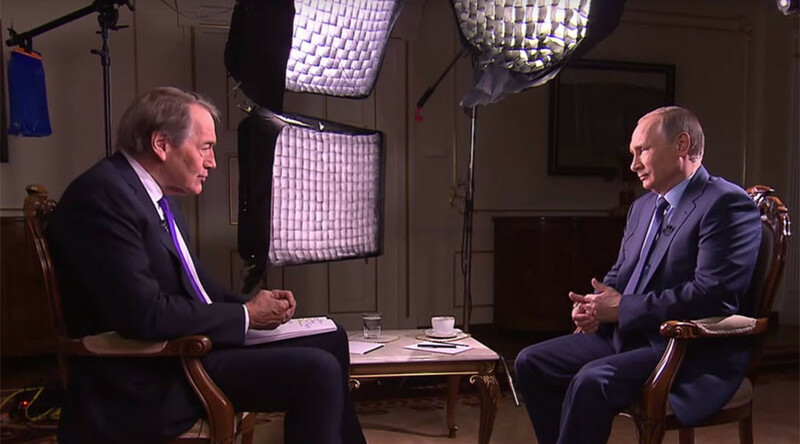 The sovereignty of all states, including Ukraine, should be respected, Russian President Vladimir Putin told CBS’s ‘60 Minutes,’ stressing that he knows “for sure” that the US was involved in the ouster of President Yanukovich in 2014. It is “absolutely unacceptable” to address issues through unconstitutional means, he said referring to the coup in Ukraine in February 2014. “Our partners in the United States are not trying to hide the fact that they supported those opposed to President Yanukovich,” he said. Putin added that he “knows for sure” that the US had in some way helped oust Viktor Yanukovich. Moscow knows “who had meetings and worked with people who overthrew” the ex-president, as well as “when and where they did it,” he said. “We know the ways the assistance was provided, we know how much they paid them, we know which territories and countries hosted trainings and how it was done, we know who the instructors were. We know everything. Well, actually, our US partners are not keeping it a secret,” he said. Since the start of the Ukrainian conflict the West has cited a “Russian threat” as an excuse to justify increased military spending in Eastern European NATO countries and provide a reason for US troops to be stationed in Europe. The presence of Russian troops on Russia’s territory near the border with Ukraine has been used to argue that Russian troops are involved in the Ukrainian conflict. However, Putin has repeatedly stated that there are no Russian troops in Ukraine. “The US tactical nuclear weapons are in Europe, let us not forget this,” he said. The US, more than any other country, has used its foreign policy in its internal “political struggle,” he said. “An election campaign will soon start in the United States. They always play either the Russian card or any other,” he explained. In light of Putin’s upcoming visit to New York where he will address the UN General Assembly for the first time since 2005 and have a tête-à-tête meeting with President Barack Obama, Rose talked to the Russian President about his image in the US. Rose said that Putin is “very much talked about” and also mentioned that Republican presidential candidate Marco Rubio has called him a “gangster.” Some have called him a tsar, he added. “How can I be a gangster, if I worked for the KGB? It is absolutely ridiculous,” Putin replied. Putin is scheduled to give a speech at the UN General Assembly session on Monday, which will address a spectrum of international issues, including coordinating efforts to fight terrorism and the crisis in Syria.